WFAN’s mission is to engage women in building an ecological and just food and agricultural system through individual and community power. Our members work every day to fulfill a vision for a food system that supports farmers, eaters, and the environment. Parking is located in a garage underneath the Holiday Inn’s main parking lot. Take the elevator to the lobby to find the registration desk. Registration will take place in the lobby of the Holiday Inn, next to the hotel registration desk. The table will be staffed from 8:30 a.m. to 8 p.m. on Friday, and 7 to 10 a.m. on Saturday, to check you in, take walk-in registrations, and accept payment for items you may have already registered for. We prefer checks (made out to WFAN) or credit cards. 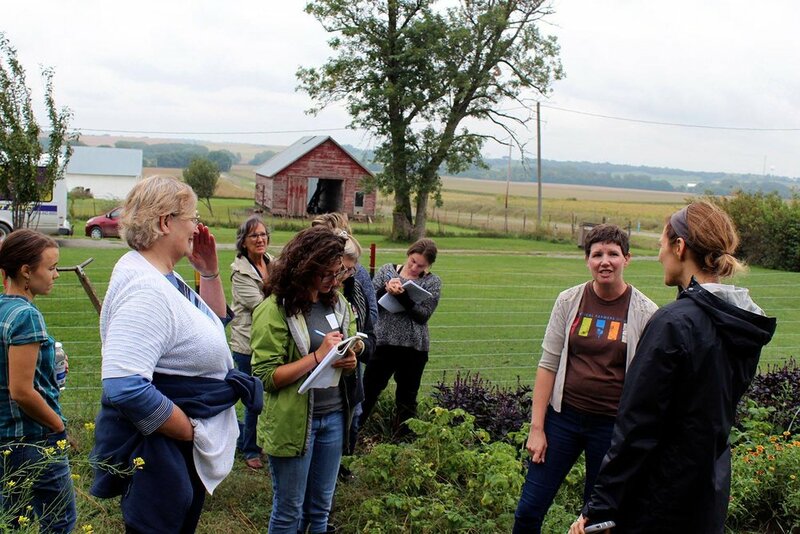 Field tours and advocacy intensives will be offered on Friday, beginning at various times. They overlap, so choose only ONE. Field tours and intensives are $60 and include lunch and a mid-afternoon snack and beverage as well as transportation. 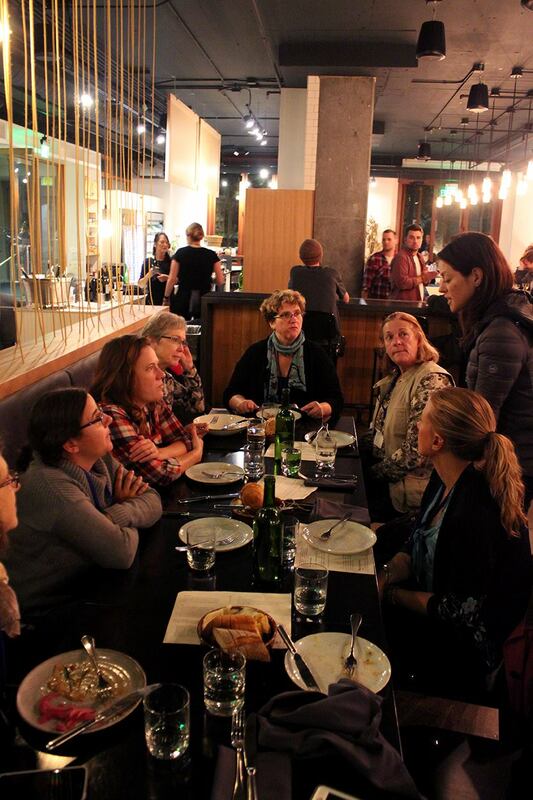 This progressive farm-to-table dinner will feature storytelling and art from women in our network alongside locally grown food prepared by a woman chef. $60 ticket includes dinner, entertainment, and first drink. Keynote speaker Aleya Fraser will start the day with “Innate Agrarian Artistry: Weaving Moments Into Movements.” 3 sessions featuring 10 workshops on food advocacy, conservation, food justice, and agriculture will follow. Network and build community creatively throughout the day.